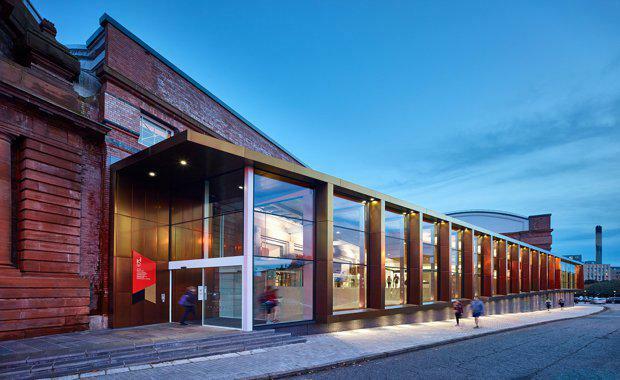 Scotland's historic cultural space, Kelvin Hall has enjoyed an increase in foot traffic after a large-scale redevelopment gave it the ability to combine culture, education and sports in the same multi-use venue. 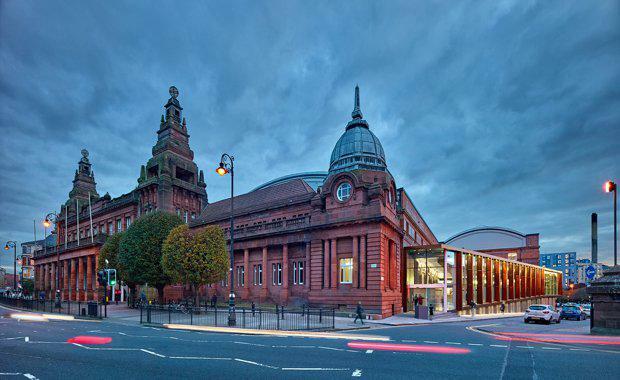 As a result of phase one of the £24.5 million redevelopment, Kelvin Hall has seen over 25,000 visitors per week. Phase 1 of the £24.5 million Kelvin Hall redevelopment involved an extension to the west of the building and a complete transformation of the original interior. This phase saw approximately one third of the building transformed into a multi-use Sport, Culture and Education building. 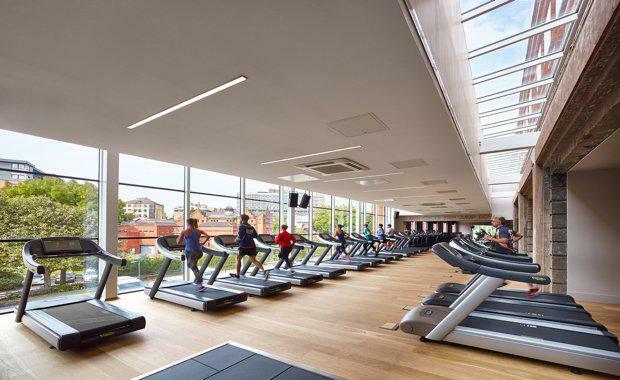 A state-of- the-art Glasgow Club gym and community sports centre was created - the largest and most advanced Glasgow Club facility in the city. Two new museum collection facilities were created to provide a new home for a combined 1.5 million treasures from Glasgow’s civic collection, The University of Glasgow’s Hunterian collection and those of the National Libraries of Scotland. The project will also provide archive storage space for both Glasgow Museums and The Hunterian collections and provide office, education, laboratory and curatorial space for the building partners. Glasgow Life Infrastructure Support Manager Alex Mclean said the redevelopment presented a challenge as it required an approach that would balance the potentially conflicting demands of a diverse range of functional, corporate and audience focused requirements. "The new interior is coherent, legible and attractive while satisfying all the requirements of the client's brief. "The team behind phase one included Page\Park Architects, Graven Woolgar Hunter, Harley Haddow, Gardiner & Theobald and McLaughlin & Harvey. Page\Park Architects’ design for the extension and refurbishment formed an ‘avenue’ through the building, with facilities arranged on either side. 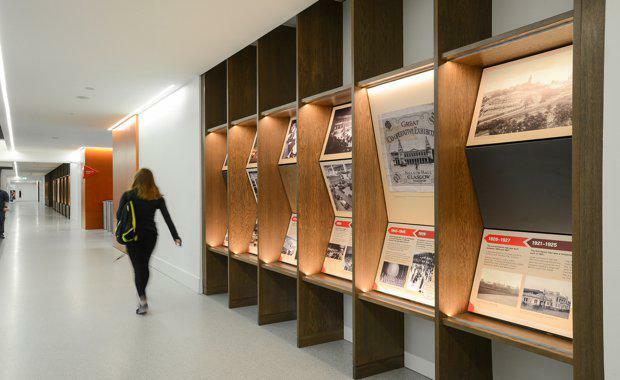 Graven treated the 100 metre long circulation space as an opportunity to enrich visitors’ understanding of Kelvin Hall. The past, present and future are now represented through interpretive panels, audio visual screens and selected objects from the partners’ collections, creating unprecedented cross-museum curatorial collaborations. Graven also designed the ‘Collections Showcase’ and its inaugural exhibition. 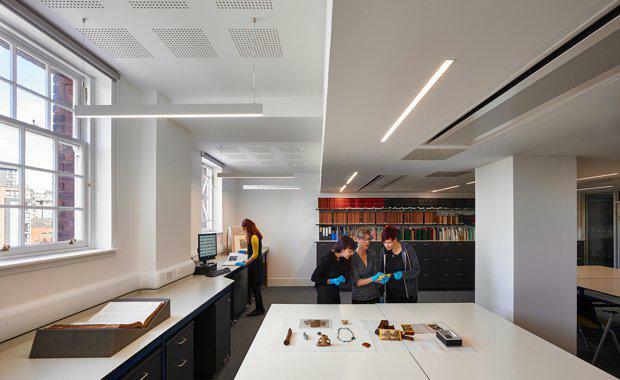 The Collections Showcase used a lightwell the full height of the building and an archive racking system as its main display structure, allowing the building partners to highlight connections between their very different collections. The curatorial partners enjoyed the way in which the solution allows visitors to view the objects from different levels. "The mix of research, culture, media, sport and fitness activities all under the same roof, was both the biggest challenge and greatest success of the project, with a unique result,” Graven Project Director, Kirsty Lang said. "The materials palette is simple and architectural and Graven’s fit-out details help to enhance the inherent dramas and complexities of the architects’ scheme design. "The café, reception and shop take advantage of the exposed original stonework and combine it with solid oak, terrazzo, decorative tiles and pendant lamps to make a space that is easy for visitors to spend time in. The café has already become an established meeting place for the diverse mix of people who are drawn to Kelvin Hall. Kelvin Hall's new environmental branding and wayfinding signage took their lead from the building’s existing brand and visual identity, combining triangular forms with striped patterns to add a layer of dynamism and movement to the environment, which was in keeping with its half-cultural and half-sporting use. Phase 1 of Kelvin Hall won the RICS Awards 2017 Tourism and Leisure category as well as the overall RICS Awards 2017 Project of the Year. Phase 2 will be the re-development of the main building for the permanent relocation of the Hunterian Museum and other museum tenants. Images courtesy Renzo Mazzolini & Andrew Lee.